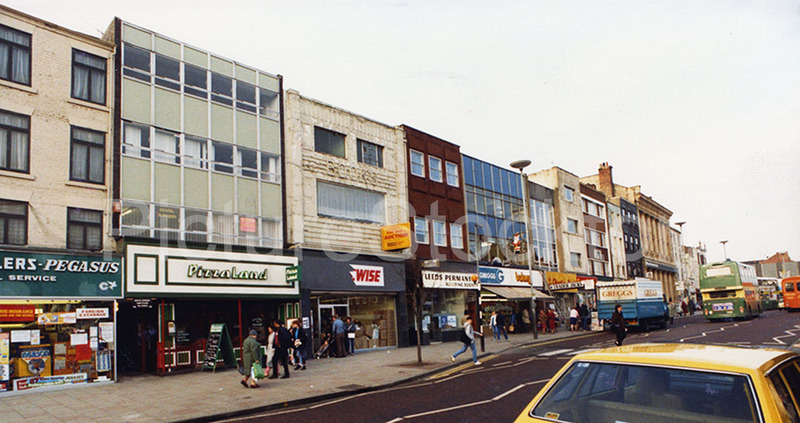 The photograph includes the frontages of Callers-Pegasus, Pizzaland and the Leeds Permanent Building Society. Taken December 1985. What have they done to what was once a lovely town? Compared to 1985… they’ve recently improved it massively. I think the area shown here looks as good today, if not better, than it ever has, especially since 1985 :). Thornaby Remembrance Parade 2018. Derek Brittain met his school pal Allan Huitson again. Two Westbury Street School lads. I had difficulty recognising which part of the High Street this was taken from until I spotted the Trader Jacks banner… It’s behind the Greggs Van… Then everything else brought memories back… I hadn’t realised it had changed so much in a comparatively short time. It could even be me going over the crossing!! Sadly after the rot set in, all the character long since gone.